Recycled Fashion readers, there are some exciting vintage and sustainable fashion events happening in Melbourne over the next few weeks that I'm excited to be involved with. For local readers, I'm sure you'll find the following events interesting. First up, next weekend is the Southside Market, at the RSL club, Acland Street, St Kilda, where I'll be hosting a recycled fashion stall for the first time. 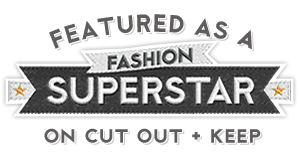 Expect to see some of my zipper brooches, recycled chip packet clutch bags, recycled paper beads by AfriBeads, and recycled cutlery jewellery pieces by Greg Mann Jewellery. 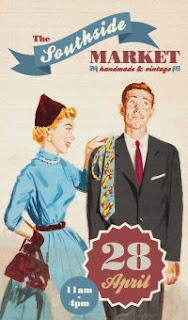 Other stall holders will include vintage fashion, and handmade goods. There is a competition on Southside Market's facebook page to win a $100 shopping spree at the market, do check the details here. Next up, the following weekend, 5th May hosts the annual national Garage Sale Trail, a must for all bargain hunters. 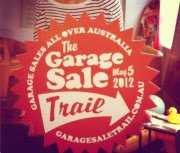 "Garage Sale Trail is about making sustainability fun and social and using the Internet to get people off the Internet. On the same weekend, Barkly Square, Brunswick, will be hosting a sustainable fashion-packed three day event with a series of free and ticketed events. Wardrobe Weekender, a three day event, will include upcycling workshops (hosted by myself, Fourth Daughter, and The Treasury), a pop up fashion book store, a clothing swap (hosted by The Clothing Exchange) and a new and recycled fashion market (hosted by Take2Markets). Wardrobe Weekender, will also showcase the work of local emerging and student designers through an exhibition installation. More details here, website coming soon. And lastly, but definitely not least, I will be hosting my next Bayside Melbourne Op Shop Tour on Saturday 26th May. 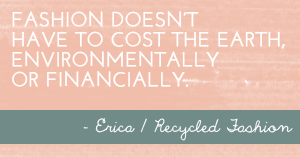 Perhaps I'll see some of you over the coming weeks, if not, happy recycled shopping wherever you may be! !